Build, customize, and take action on large product/location (SkuLoc) data sets in minutes. It’s a seemingly endless list of tasks on your desk: you need to review reports, set up new products, identify & resolve current issues, send vendor reports, and update sales and plans across 5 or 5,000 product/location combinations (SkuLocs). 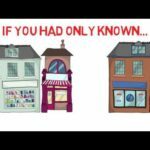 You have top products and locations but the ‘top’ products may be different in different locations. Sound familiar? Hundreds of business rules to choose or combine with other rules to filter the product/ locations selected in step one down to the group you want to change. You need the system to perform maintenance now or on a schedule – limitless possibilities. 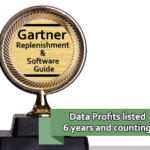 How did Data Profits develop the program? With actual users. Our Supply Chain Management tools were developed with years of interviews and testing by retail and wholesale executives, analysts, buyers, replenishment and allocation managers. This research was then reviewed by some of the top business and math professors in the country. Our goal was to keep the user experience familiar and easy to use with the best math and science happening behind the screens. It is a known fact, if you want people to use a product, get their ideas before you build the product. It is stunning to review how many forecasting and planning solutions have math based on just one or two scenarios. Why, many systems were developed by IT guys and the technology of even 5 – 7 years ago couldn’t run fast enough to deliver the answers in time. Forecasting and planning processes had to be simplified to keep processing times low (cost) within reason. Today, iKIS by Data Profits has leveraged many different user groups and college math and business professors to bring every advantage of speed, accuracy and results to our users. 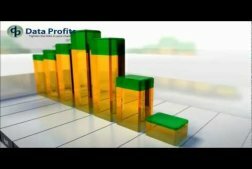 Try iKIS by Data Profits inc.
See the difference to your business in 90 days. Want to get updates as soon as possible? Subscribe to the blog and we’ll send you a message whenever there’s a new item.